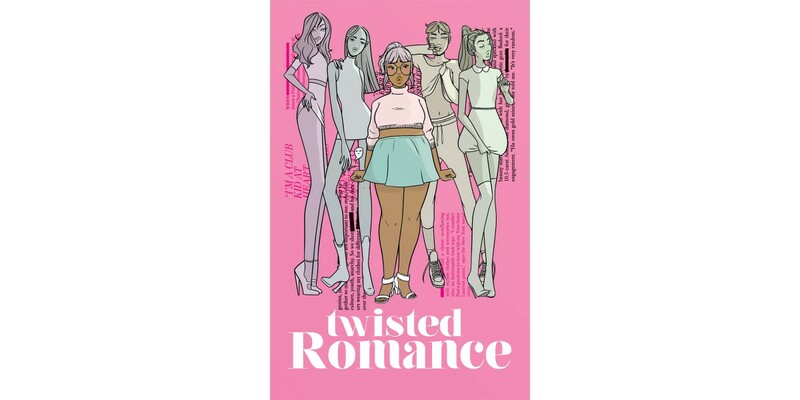 Featuring the talents of Katie Skelly, Alejandra Gutiérrez, Carla Speed McNeil, Trungles, Sarah Horrocks, Magen Cubed, Meredith McClaren, Vita Ayala, Margaret Trauth, Jess Bradley, Sarah Winifred Searle, and Naomi Salman, TWISTED ROMANCE is a romantic anthology from well off the boring, beaten path. Demons prowl the '70s New York disco scene. Humble creative assistants fall for movie stars. Space captains spar with frustratingly handsome pirates. Princesses run away with dragons. And much, much more. Within these pages, readers will find comics stories of love and lust, steamy prose, and comics shorts from—and for—all walks of life. TWISTED ROMANCE (ISBN: 978-1-5343-0753-7, Diamond code: JUN180087) hits comics shops on Wednesday, September 5th and bookstores on Tuesday, September 11th. It can be preordered via Amazon, Barnes & Noble, Books-A-Million, Indiebound, and Indigo.